The Pakistani earthquake of 2005 killed over 70,000 people and left up to 3 million homeless. Kashmir and North-West Frontier Province (NWPF) were the heaviest hit areas, with entire villages destroyed. Article 25 was approached by the international NGO Muslim Aid to help with the reconstruction effort after this devastating event. 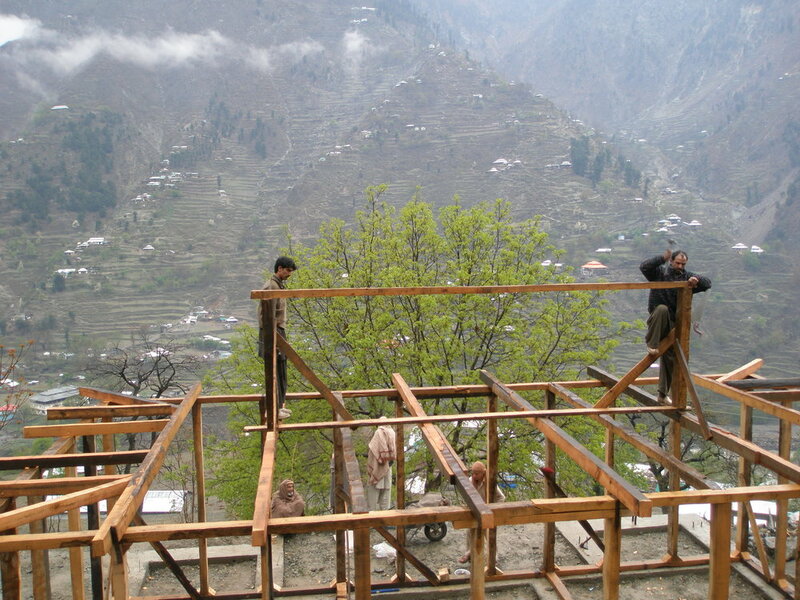 We developed earthquake resistant building designs and led workshops that would enable local people to take part in the rebuilding projects. These workshops illustrated how communities could rebuild safely with limited resources and reclaimed building materials. We assisted with the design and construction of seismic resistant houses for the most vulnerable members of the community, who were not able to rebuild for themselves. The beneficiaries of these houses were selected through community consultation and preference was given to widows with dependent children, those unable to work because of age or disability. We developed a number of designs for new homes, using simple seismic mitigation techniques, to reduce the risk of damage in the event of an earthquake. The houses were built using traditional construction techniques, local materials and skills. By adopting an inherently earthquake resistant approach and providing simple technical improvements the homes will make vulnerable communities more resilient in the future.